“There are currently two camps in Europe and one is headed by (French President Emmanuel) Macron,” Orbán said at a press conference after holding talks with Salvini in Milan. EU countries are expected to go to the polls in May, and Salvini has aligned himself with the anti-immigration “Visegrad” countries: the Czech Republic, Poland, Austria and Hungary. 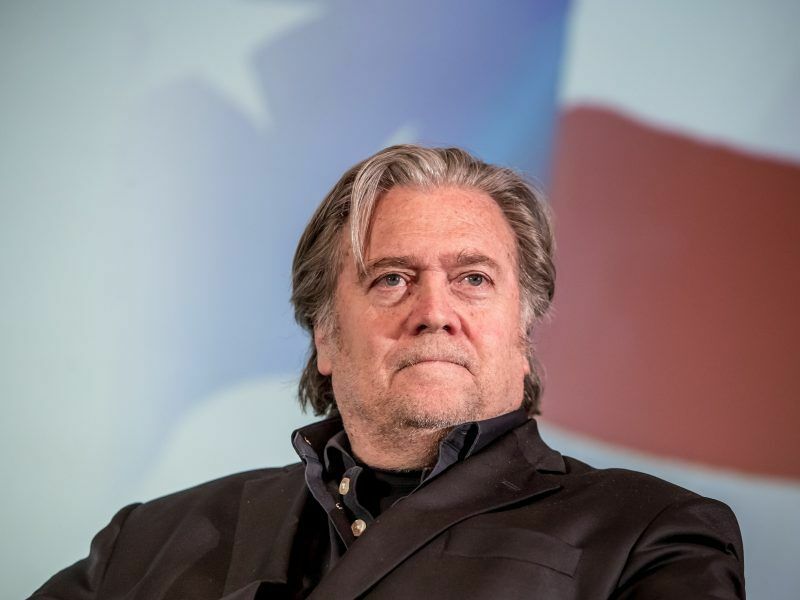 An anti-EU force called The Movement is in the making ahead of the European elections, with the support of Steve Bannon, former senior advisor to President Donald Trump. Bannon sees Salvini as a model for his future Movement partners to follow. The firebrand Italian politician has certainly succeeded in a very short time to elevate Lega Nord, traditionally a regionalist separatist force, into a national far-right party. 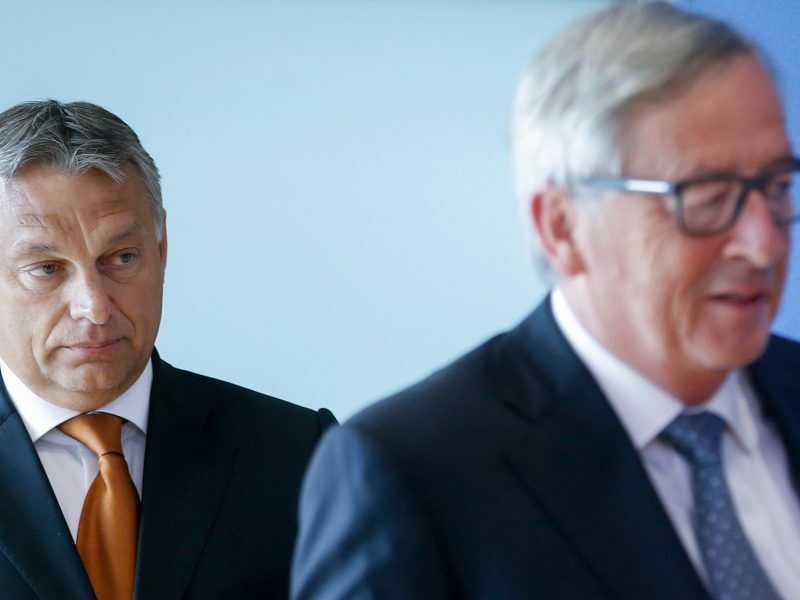 Orbán’s Fidesz party is member of the European People’s Party, the mainstream centre-right political family, but many believe that he will move to the new European anti-system force in the making. Both Salvini and Orbán criticised Macron. Salvini accused him of not doing enough to help Italy on migration and Orbán said the French president wanted to “blow up” the EPP. “Macron is the leader of pro-migration parties in Europe today,” said Orbán, whose visit prompted a protest in Milan by several thousand opponents of hardline immigration policies. 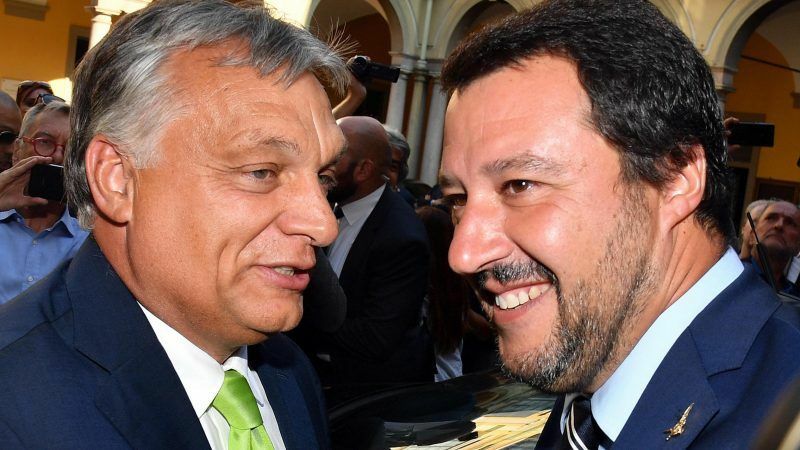 Salvini’s meeting with Orbán came shortly after Prime Minister Giuseppe Conte’s more low-key summit with his Czech counterpart Andrej Babiš, which also focused on migration. Italy’s new government rapprochement with countries that refuse to take one single migrant may look surprising. However, their ideologies seem to be very close. “At the heart of the talks between the two prime ministers was a safer and fairer Europe as a common objective to work towards … beginning with the key issues for European citizens: the fight against illegal migration, growth and work, and socio-economic stability,” a government statement said. 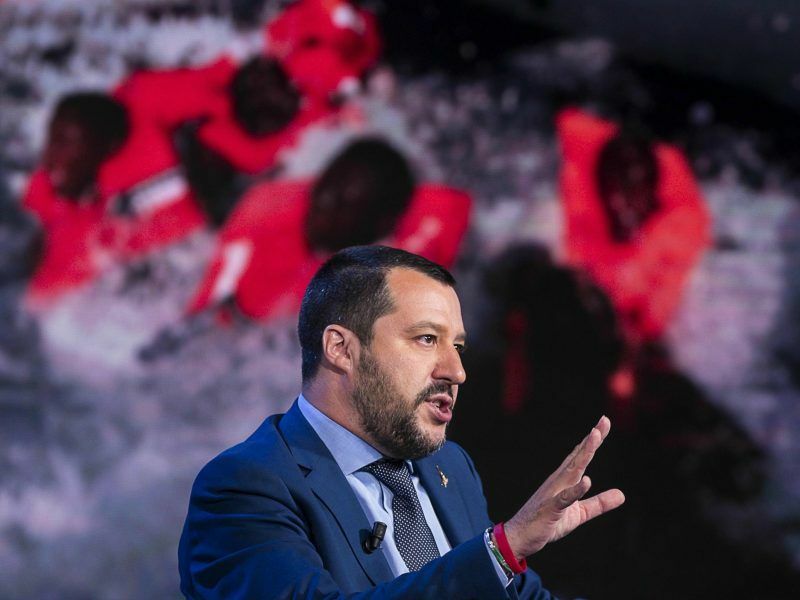 Salvini has repeatedly shot barbs at the European Union over immigration, accusing the bloc of having abandoned Italy as it struggles to deal with the hundreds of thousands of migrants who have arrived on its shores since 2013. 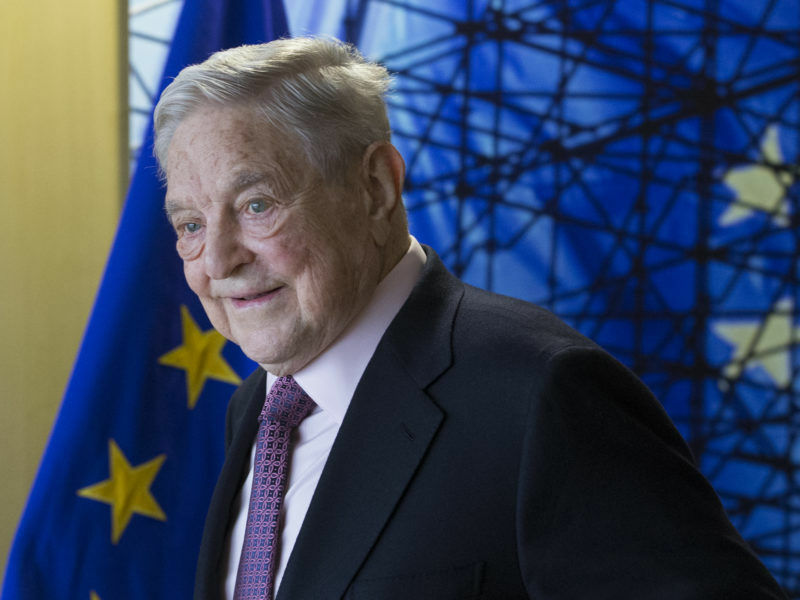 His antagonistic stance has drawn support from key figures of Europe’s hard-right including Marine Le Pen and Orbán, who confirmed Italian media reports that he called Salvini “my hero and fellow traveller”. Salvini, who is also co-deputy prime minister and leader of the nationalist League party, has taken pot shots at “globalists” like billionaire Hungarian philanthropist George Soros — one of Orbán’s targets — and Macron. The French president has sharply criticised countries who refuse to cooperate on migration saying those who benefit from the EU but “claim national self-interest when it comes to the issue of migrants” should have sanctions imposed on them. Most important aspect of Salvini-Orban press conference: tag team attack on Macron – ‘future of Europe is us vs him’. Though strong irony in Salvini saying France should open its borders to Italy’s migrants while sitting next to Orban who has taken a grand total of 0 migrants. Tuesday’s meeting in Milan came just days after Italy’s latest standoff with Brussels over immigration, which led to scores of migrants being held on a coastguard boat moored in Sicily for days until a relocation deal was struck enabling them to disembark on Sunday. 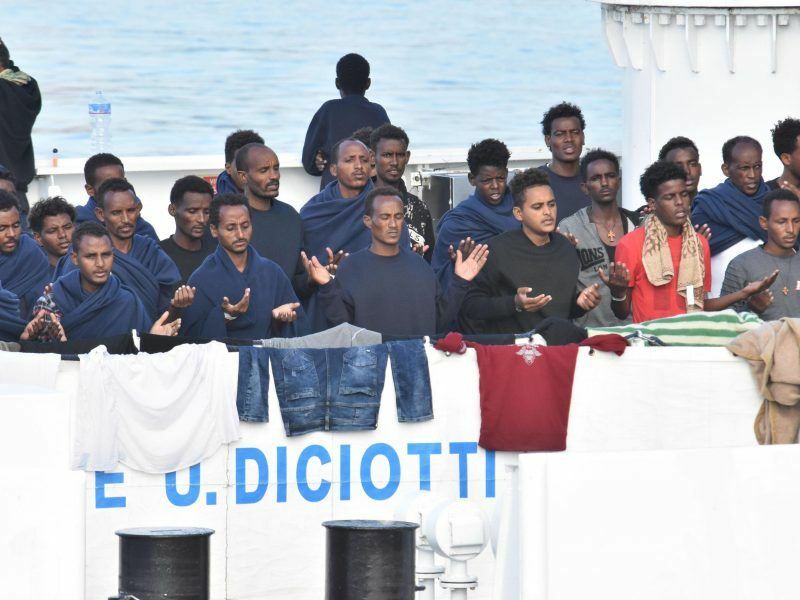 Salvini said he would continue to refuse NGO ships with migrants access to Italian ports, and brushed off an investigation into “abduction” launched against him by prosecutors in Sicily. “They won’t make me take one step backwards,” he said. Orbán told reporters that he would not allow migrants to enter Hungary, and insisted that help should be “taken to where people are in trouble, rather than bring trouble to us”. “We need a new European Commission that is committed to defence of Europe’s borders,” he said. Hungarian Prime Minister Viktor Orbán said today (27 July) that a new European Commission is needed with a new approach to migration policy, adding that the days of the current EU executive are “numbered” with its mandate expiring next May. Migration is a hot-button issue in Italy. According to a study carried out by research body Instituto Cattaneo, 70% of Italians believe that the percentage of non-EU immigrants among Italy’s population of 60.5 million is nearly four times that recorded by Eurostat – 7% as of the start of 2017. Salvini’s meeting with fellow hardliner Orbán has exposed fractures in Italy’s ruling coalition, which joins Salvini’s League with the populist 5-Star Movement. His fellow Deputy PM and Five Star leader Luigi Di Maio has stood alongside Salvini in opposition to Europe’s handling of migration from Libya. 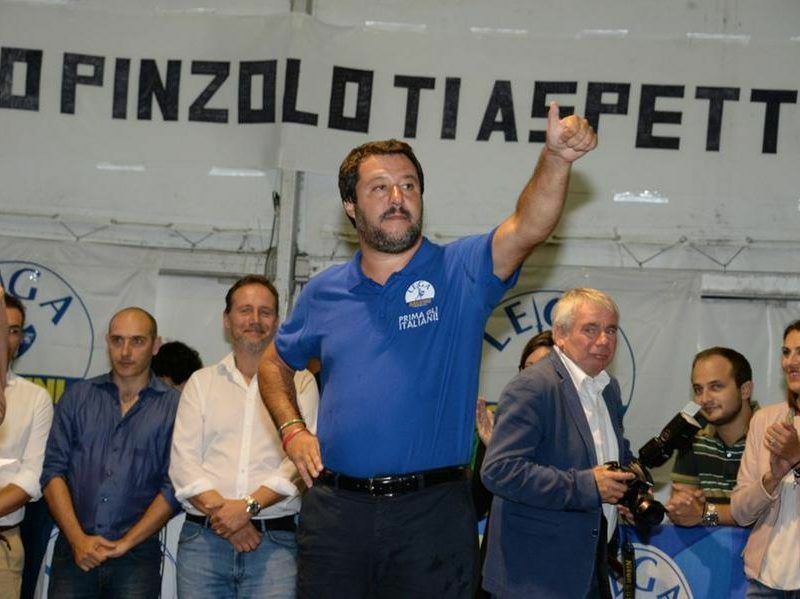 Last week he threatened to pull Italy’s EU budget contributions if more help didn’t arrive and backed Salvini as he waited for nearly a week before allowing 140 migrants to disembark a coastguard ship docked at the Sicilian port of Catania. But Five Star includes within its broad political ranks a left-wing faction uncomfortable with the party’s alliance with Salvini. Di Maio blasted Orbán on Monday for putting up “barbed-wire barriers” and refusing to do his part to help with migrants. “As far as I’m concerned countries that refuse allocation of migrants should not be entitled to European funding,” Di Maio said in an interview in daily La Stampa. That’s their respective parties guaranteed a win then. Yeah, like Marine Le Pen in the French presidential elections. Thankfully there are still enough people with a brain left.